Would you give up everything you owned and your career to seek daily adventures? Patrick Daley quit his job and sold his belonging to hitch hike across America in 2015. 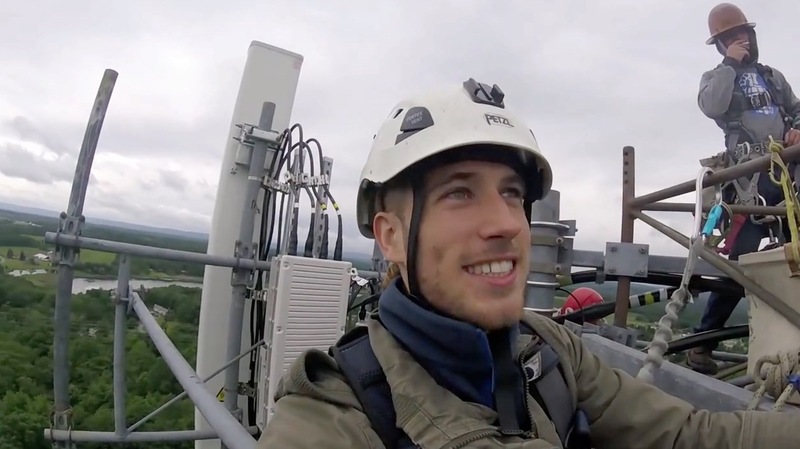 He shared this video on his True Transient YouTube channel that features him climbing a 130-foot cell tower. Daley met employees who work on the tower and they allowed him to come along for the adventure.